Redland Ranch Estates Homeowners Association, Inc.
Redland Ranch Estates is a very welcoming community nestled within Highways 1604 N, 35N, and 281N. Homeowners are conveniently close to the San Antonio Airport, family oriented places such as McAllister and Lady Bird parks, places of worship and schools for all levels of education. Only twenty minutes away, homeowners can find themselves in a very popular area that includes Six Flags Fiesta Texas Theme Park and the exciting entertainment, dining and shopping established developments called The Rim, La Cantera, and The Forum. There is almost nothing you cannot find here for families, friends, or out of town guest excursions. As the areas around the community grow so do the many opportunities for employment. The addition of medical facilities, retail businesses, corporate expansion, and construction improvements can be seen from every highway. Texas gems like Canyon Lake and the city of Boerne are only forty minutes to an hour away from the adventures of camping, boating, wine tours, and fishing for those weekend staycations. The current Board of Directors is serious about their mission to keep Redland Ranch Estates aesthetically beautiful, properly maintained, and inviting to old and new homeowners. They take their time to listen to their association and understand the position they have been entrusted to when they volunteered to lead as Directors. 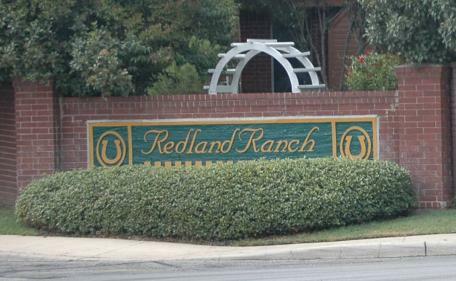 We are excited to be partnered and assisting with the Board of Redland Ranch Estates’ dreams and goals and look forward to a successful business relationship making each one a reality.